THIS IS A BOOK FOR ANYONE WHO ENJOYS GOOD FOOD: THE COOKING OF IT, THE EATING OF IT, THE SHARING OF IT. Some of these recipes have fed and delighted Jawaharlal Nehru and Sarojini Naidu. All of them have provided nourishment and comfort to generations of Bengali families. Now for the first time, these time-tested recipes are available in English. Renuka Devi Choudhurani (1910–1985) was married off at the age of ten into a zamindari family. That was when her culinary education began, mainly from her father-in-law, but also from itinerant bawarchis and specialist cooks. As her interest in good food developed, she took to collecting and recording recipes. Ultimately, she published a two-volume Bengali work containing about 400 vegetarian and 300 fish- and meat-based recipes. From the simplest dal to the most elaborate biryani, her recipes are easy to follow, and produce delicious results. 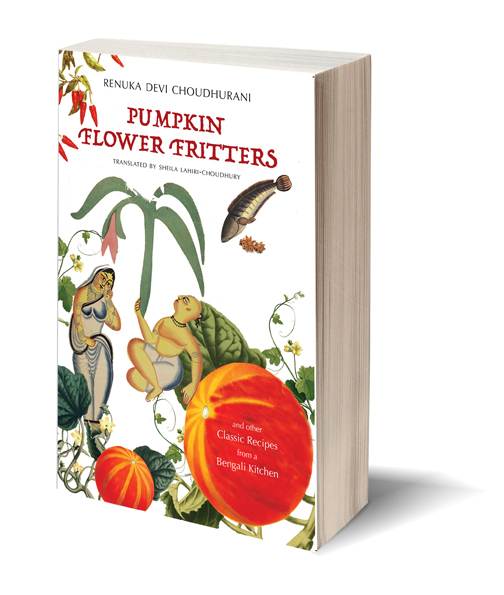 This book contains a wide-ranging selection from the original Bengali work. It covers all the courses that might normally be served in a Bengali meal: starters, fritters, vegetables, lentils, rice, fish, meat, chutneys, dessert. Renuka Devi’s eloquent autobiographical introduction is also included here.